In this section we will download every program/tool we will need to setup and maintain the servers. Do not install these yet. There may be certain issues when trying to use newer versions of MySQL or MariaDB. Pull requests to remedy these issues are welcome. The latest MySQL may complain about default timestamps on certain tables - this is also a known issue with using XAMP distributions in some configurations. It's pretty straightforward, the defaults are fine and you can optionally change the root password (but better yet don't use the root user for everything). The same is true for MySQL. Select Install as Windows Service, Launch the MySQL Server automatically, and Include Bin Directory in Windows PATH. Note: Server is x86, but will install 32-bit and 64-bit binaries. Choosing setup type: Keep defaults. Note, you can select "Server only", but Developer Default will allow you to skip the MySQL Workbench below, and it will require more diskspace. Check Requirements: Click next. You should not need anything that shows "Manual", but you can download the modules separately if you do need them later for some reason. *Note, if you are missing some of the elements (Status = manual), it will pop up with a message stating "One or more product requirements have not been satisfied". Click yes to continue. Installation: It will show a list of those things that you will install (it will not list those that had "Manual" in previous step). Click Execute. Product Configuration: This screen will just tell you that there is still some stuff to configure. Click Next. Windows Service: Leave default settings and click Next. Plugins and Extensions: Leave default settings and click Next. Connect to Server: Enter the password you entered for the MySQL (Under Accounts and Roles section) at the bottom where it asks for password, then click Check. As long as the password is correct, it will ungrey the Next button and allow you to continue. Click Next. Apply Configuration: Just like the Apply configuration above. 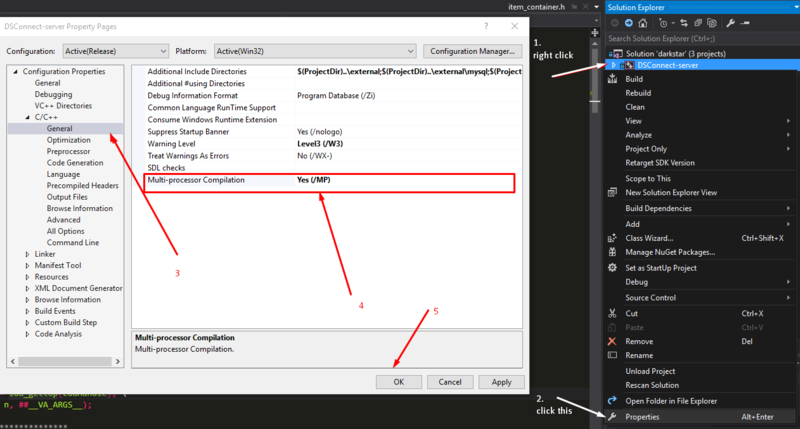 Click Execute, it will configure, then click Finish once complete. Installation Complete: As per the title, you are done. Click Finish and enjoy your new MySQL database. Use default installation options. This can still be installed and will still function even if you use MariaDB instead of stock MySQL. It will generate a few warnings from by a version number check that you can safely ignore. Any edition works. Community is free. Make sure you install Desktop development with C++ when selecting development packages. Use default installation options. You can skip the step to reboot since we'll reboot once everything else is installed. Use default installation options. It probably comes with your Visual Studio install anyway. Dot Net Frameworks always come with all prior versions packed in, so you never need to install multiple versions. At this point everything should be installed that needs to be and you can restart your PC to finalize them. 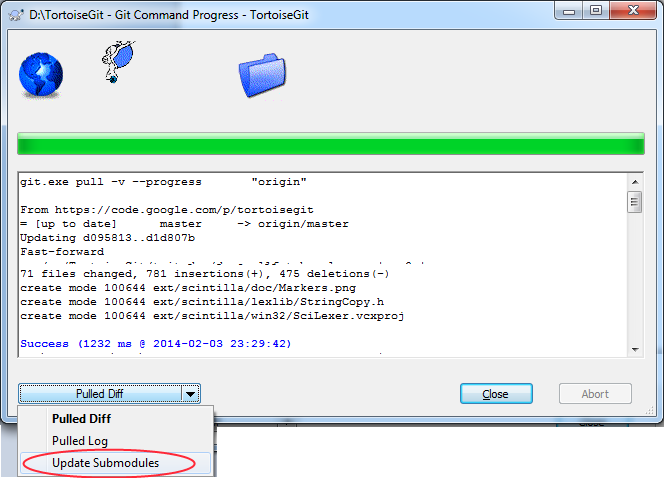 In this section we will use TortoiseGit to download the latest git source code for the server. Click OK to close TortoiseGit. If you are not planning on doing any development, it's advised to use the stable branch instead of master. Right click on your darkstar folder, and go to TortoiseGit -> Switch/Checkout. Change the branch dropdown to remotes/origin/stable and hit OK. In this section we will use the data that you downloaded to build a database in MySQL. If you follow this step, you may skip the next one. You can use this script any time the repository is updated, but it will drop the table and thus delete all your player data. You may want to make manual changes instead unless you are using it purely as a test server. Configure Heidi to use your MariaDB or MySQL connection. Read the documentation or click "new" and wing it like those brave souls who pretend they understand ikea manuals. Open the "session" then right click it and move your cursor to "new" so the submenu opens and click "database". All instructions after this point will assume you named your database "dspdb" without quotes. Now Heidi needs to know which Database we are loading tables into so click to select your new database so it gets higlighted. Now select "file" again at the top left of the window. Select "Load SQL file" (or press control+O and that's the letter not zero). Browse to your SQL directory in your repository root and pick a file you want to import. Like C:\DSP\sql\abilities.sql for example. You can also hold control to select multiple files at once, but be aware Heidi will open a new tab for every file. Press F9 (or click the blue right facing arrow icon) to execute or "import" the current tab's SQL content into your database. Repeat until all tables and triggers have been loaded. That's it, your are done loading tables. NOTE: The free edition of Navicat was discontinued ages ago. No more support or bugfixes are released for it. And even if you use the latest commercial release, it will do annoying things like surround every field of a dump in single quotes. If you pull request an sql change that places single quotes on number fields on 30,000 lines Teo reserves the right to maim you. Just kidding. Or am I? :) Alternatives include Heidisql, mysql workbench, and many others that are free and open sourced. Same functionality, different layout on screen. Password: Enter the password you wrote down during the mySQL installation. Continue this process for each file in the folder. Select Save and then close the table. There should already be a line listed with char_delete in the name field. Now you need to determine what IP address that will be used for the Map Server, then update MySQL with it. Most devs & enthusiasts will not have a separate map server, but will run both map server and login server on the same PC. 1. Determine what IP address will be used for the map server. If the server will be internal and you want it available on other PCs in your internal network, use the internal network IP (192.168.x.x) in the next step. If you only plan to run the client and the server on the same PC, you can use the localhost address (127.0.0.1) in the next step. Add the following code into the empty space, inserting the value calculated above. The value in the code below (127.0.0.1) would be used if only running the client from the same PC as the server. Click on the "run" button (blue arrow), or press F9. You should get a message stating that many (280+) records were changed. I recommend you save the Query in case you need to run it again later after updating the server. In this section we will be building the Dark Star servers. Dark Star uses 3 separate servers. A Login server, a Map/Game server, and an optional Search/Auction House server. Using the ZoneIP mentioned earlier, every map could run on its own server at a different IP address. If you have 4 computers each computer could run different areas, as long as they were all connected to the same MySQL database server. It may take a few minutes to load files. Optional: if your cpu can handle it, enable multi-core compiling like so http://i.imgur.com/GCjdsdG.png (do this for all 3, or just DSGameServer since that's where most the compile time goes). Building will take a few minutes. If there are any SQL errors it is probably caused by the SQL dev package was extracted to the wrong folder. Now you will configure the Login Server and Map Server to connect to the MySQL database. Do not mess with any other settings in these files unless you know what they are for and what they do. At this point we have configured the servers to connect to the SQL database. In this section we will launch our new servers. At this point if your servers fail to load, you probably missed a step. Go back through the steps and try to find out what you missed. It may also be helpful to look at the log files located in c:\dsp\log. In this section we will provide the port numbers that need to be forwarded to the server. This is only needed to allow people outside your local intranet to join your server. If still having trouble, disable any firewall software completely for testing. This includes the Windows firewall that comes on all modern Windows systems, which can be found in the Control Panel. The server is known to build in recent Ubuntu versions (14.04), and is tested regularly against it. Generic build instructions for most POSIX (GNU/Linux, and possibly FreeBSD, NetBSD, UNIX or even OSX with some additional work) systems follow. Some knowledge of how to compile software on your distribution is assumed. You may find it helpful to reference the Windows guide above if something is unclear. Ubuntu 14.04 needs gcc 7. Git to retrieve the source code. If you plan to run from a console, you may also wish to install "screen" as there is no daemon mode for the servers yet. You can choose not to configure with debug enabled, but there is very little potential gain in this and it prevents many useful break statements from triggering. The Makefile also has separate targets to build each server named "dsconnect" "dsgame" and "dssearch" but will build all 3 if none are specified. Substitute "password" with a password of your choice. Next, we want to create a database, and set up our new user with permissions to work with it. This will make it to where your new user can do anything necessary, but can only connect from localhost, so even if your password is compromised, it will be difficult to mess with the database remotely. If you need to be able to access the database remotely (like if the database is stored on a separate machine from the server), change the configuration according to the host that will be accessing the database. Now, you need to populate the database. replacing "127.0.0.1" with the value you determined in your calculation. You should see a message that at least 256 changes have occured after the update command. Before running your new servers, you will need to update the configuration files to tell it how to talk to the database. You will need to update the files in the conf/ sub-folder named "login_darkstar.conf" "map_darkstar.conf" and "search_server.conf" at a minimum. Find the mysql settings in each and change as appropriate, using the new user, password and database you created earlier. You may also wish to browse through the various configuration files for any settings that might be of interest to you, but more details on server customization can be found at Customizing Your Server. to monitor a given server. Once you've attached to a screen, you can detach by first pressing "ctrl+a" and then "d". There are many other useful ways to use screen, so do whatever suits yoru preference. Your server is now up-and-running, and a client should be able to connect as long as there are no obvious errors on any of the server screens. If the search server is having issues, it is not vital for basic game functionality, but you will be unable to use search functions or the auction house. If you have run into any major issues, contact bluekirby0 (the current maintainer of the linux port as of the time of this writing) on Discord or in the forums. If your server goes down, no one can connect. If it goes down when you're not looking, it can be down for an extended period of time. To fix this, you probably want to have a way to have your server auto-restart. In addition, it's good to know when the server crashed. First, you'll want to download Knas Restarter here: . Make sure you have file extension view turned on so that you can see the .txt at the end. Open the shortcuts you created on your desktop, and open the search server as you normally would. Crash logs will be found in the text files you created in the tools directory showing the date and time the crash occurred. You have to run all changed sql files! Be careful you keep zoneip correct in zone_settings.sql. Make sure your zoneip in zone_settings table is correct. Also make sure packets can reach the 53445 port. Restart server after changing zoneip. Restart login server, game server and game client. mysql -uUSER -pPASS -hlocalhost dspdb -e "set sql_mode = '';"